We're just in love with Maine's Quoddy Mocs! 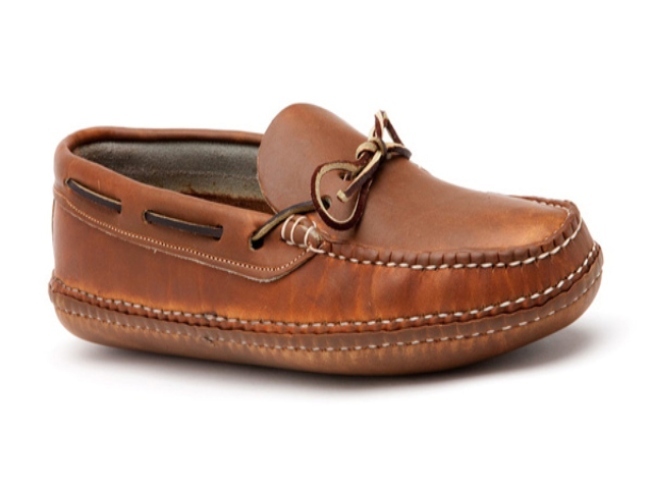 Quoddy mocs make our top must-have list for New England made products! We're all for Connecticut-made goods, but the truth is we're supporters of everything made in good old New England. This includes - but is not exclusive to - Maine's Quoddy moccasins. The company with a 100-year-old tradition settled down in Perry, Maine, originally, and began producing moccasins based on the designs of the Passamaquoddy tribe. Made to be all around durable and comfortable through all elements of those harsh Maine winters, the moccasins are a solid investment when you're considering suede territory in a typically white out winter town. We do love the craftsman Harry gimmick and think that Quoddy should embrace their own brand evolution for once. The shoes have updated over the past 100 years and now include classic and modern shapes with soft or hard soles in a variety of leather finishes. They've even made Jenna Lyons, Creative Director of J. Crew's personal favorite list! Sure they're pricey, ringing in around $250, but when it comes to Maine memorabilia it's a heck of a lot better than an empty bottle of Poland Spring water!